this week I’m waiting on Strange And Ever After (Something Strange And Deadly # 3) by Susan Dennard (expected publication: 22d July 2014 by HarperTeen). It’s a YA Historical Fantasy and the last book in a trilogy. I have loved the first two books in this series (Something Strange and Deadly -set in Philadelphia – and A Darkness Strange and Lovely – set in Paris) and I can’t wait to find out how it all ends – in Egypt! In the conclusion to the trilogy that Publishers Weekly called “a roaring—and addictive—gothic world,” Eleanor Fitt must control her growing power, face her feelings for Daniel, and confront the evil necromancer Marcus…all before it’s too late. Susan Dennard will leave readers breathless and forever changed in the concluding pages of this riveting ride. You can read my interview with Susan Dennard here. What are you waiting on this week? 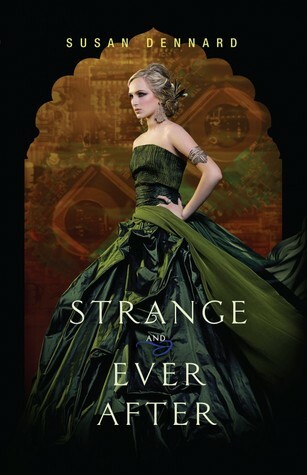 Is Strange and Ever After on your TBR list? Have you read Something Strange and Deadly? This entry was posted in Waiting On Wednesday and tagged 2014 release, A Darkness Strange and Lovely, EM Castellan, Reading, Something Strange and Deadly, steampunk, Strange And Ever After, Susan Dennard, Waiting On Wednesday, YA Historical Fantasy. Another series that I love and the covers just keep getting better.